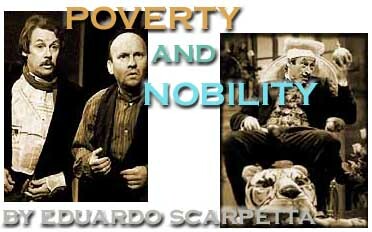 Poverty and Nobility (Miseria e Nobiltà) is the masterpiece of Eduardo Scarpetta, famous comic actor, who bought a theatre with the earnings of this play. Scarpetta was Eduardo de Filippo's father. This performance is in Russian and has been attended by more than 200.000 spectators. 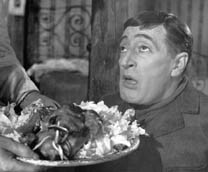 In a movie version the leading role was played by Totò. All author's several children acted as Peppiniello, the young boy. All of them became famous italian actors.